The weekend was overshadowed by the hotel’s failure to renew it’s Alcohol License! 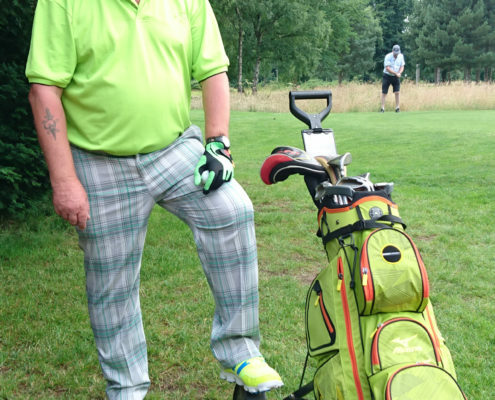 This led to the local Co-Op store having a bumper weekend as it was descended upon by a hoard of thirsty golfers. It was a real inconvenience, but it saved a fortune. Some individuals chose to invest their winnings in the nightly card games, with mixed results. The weather was hot and humid on Saturday/Sunday, with a little bit of rain arriving on the Monday, but mainly a dry weekend (Ed – no alcohol pun intended). 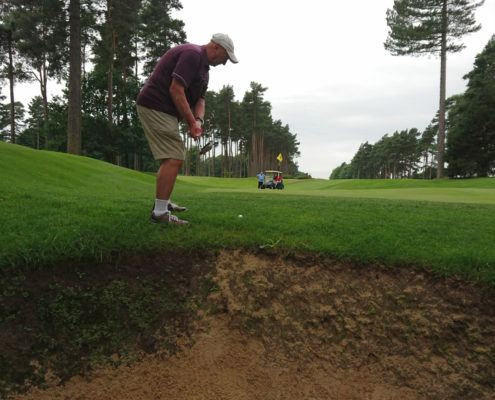 The 3 x 9 hole golf courses that make up the Forest Pines were fun but very challenging. 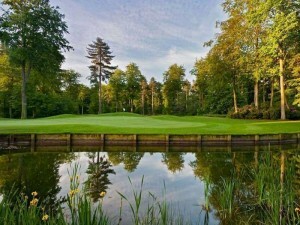 There was the Forest course, which was long , tree lined with lots of bunkers. 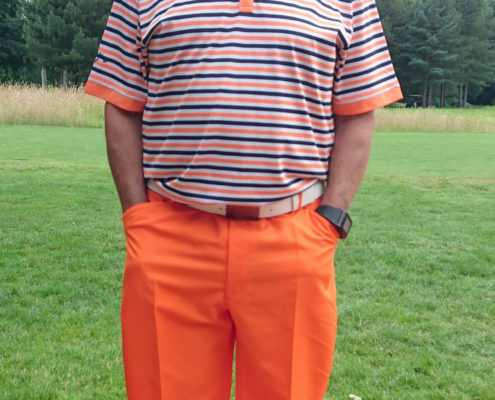 There was the Pines course, which was long, tree lined with lots of bunkers, and there was the Beeches course, which was….well you get the picture. 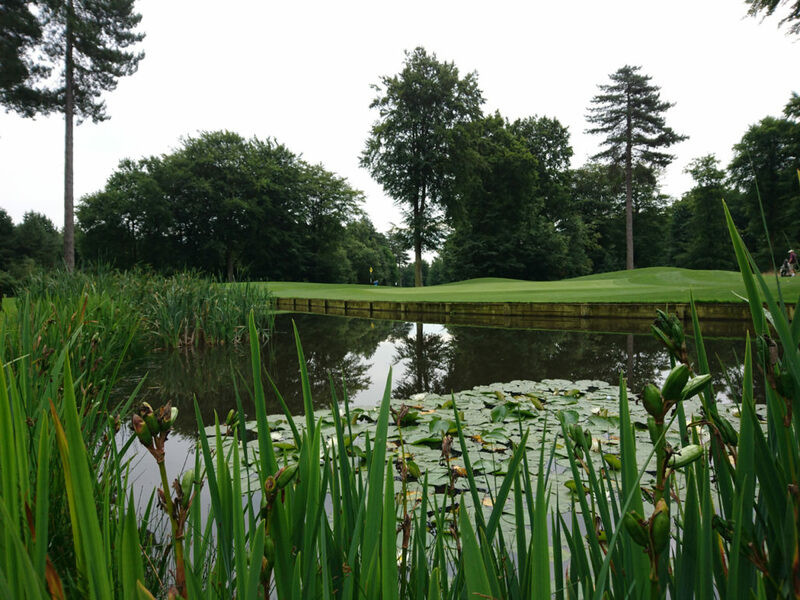 The trees allowed for everyone to benefit from at least a few Doss bounces back onto the fairway. 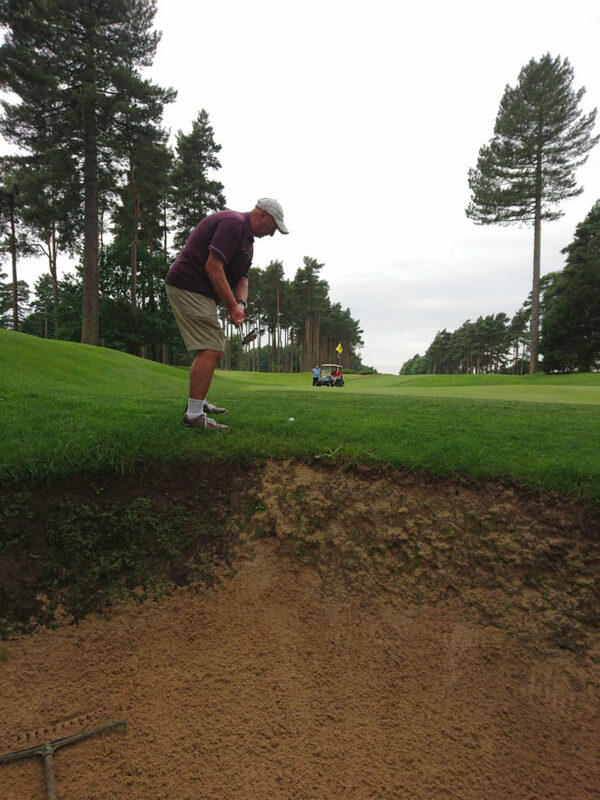 The bunkers were deep and often with little sand in them. That made them a frustrating affair to get out of some times. 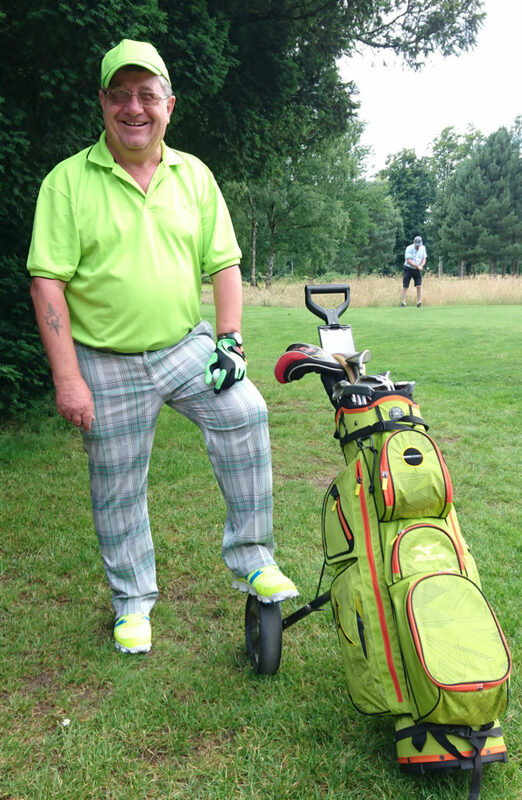 The Sunny Sunday was won by Martin who really stepped it up this year with a matching Lime Green Golf Bag. 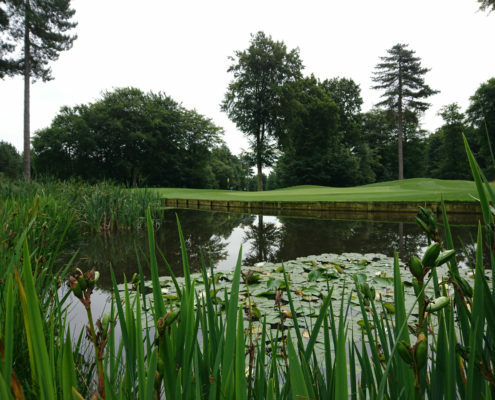 As to the golf, Graham R started the weekend strongly winning the Sunday with 36 points and Tyrone came back on the Monday to win with 31 points. A thoroughly enjoyable weekend as ever.